Bus transfers: Whether you wish to go to Hanover, Brunswick, Osnabruck, Oldenburg, Wolfsburg or Gottingen, Germany Bus' main bus rental associate companies will gladly make available to you buses with driver for any kind of trip by bus in Lower Saxony. From an airport to the center or from a train station to your hotel, from a festival to a restaurant or from the location of a wedding ceremony to the wedding banquet in Lower Saxony, travelling by bus is also the most comfortable and efficient way to go from one point to another. Whatever the means of transportation you may need, do not hesitate to contact Germany Bus' team. We will draw up an estimate considering your personal indications related to your transfer, visit, excursion or trip in Lower Saxony, Germany or Europe, and will then forward it to you in the shortest time possible. Sightseeing tours: The buses of Germany Bus' partners are also rented for all sorts of tourist tours. Whether you wish to visit tourist attractions in Gottingen, Hildesheim, Hameln, Emden, Brunswick, Osnabruck or Hanover, the drivers we employ will gladly drive you wherever you want whilst your guide will show you around and tell you everything you need to know about the local places. You did not book a guide yet? No worries, we will help you out finding the most competent local guide for your sightseeing tour in Lower Saxony. Excursions by bus: If you wish to limit your journey to a simple trip to a couple of cities to see Lower Saxony's surroundings, Germany Bus will naturally provide you with a bus or a minibus and a driver for your excursions. Amongst other things, we undertake the organization of excursions in the Land of Luneburg or of Harz, from the Wadden Sea or Hildesheim. You have the choice to either rent a single bus, ask for other touristic facilities as the ordering of special menus or the booking of a hotel. Whatever your demand, rest assured that our buses stand for the optimum choice for your visits in Lower Saxony as well as for all your excursions in the cities, lands and states bordering the area. Travels by bus: As soon as an excursion by bus lasts for several days, it is considered as a travel by bus. Since the Land is quite big, most of excursions in Lower Saxony are in fact trips by bus. The difference is a matter of time, but whatever the label, Germany Bus' partners will know how to meet your demands in any case. Keep in mind that not only we provide for buses and driver for journeys in Lower Saxony, but also in Germany and the rest of Europe. Thanks to our close relationship with the tour operator City Tours, you can also ask for any other kind of tourist services related to your trips. Coach operator Lower Saxony: "Busvermietung Niedersachsen" is a coach operator offering tailor-made bus rental for individual itineraries in Lower Saxony, including Braunschweig, Celle, Delmenhorst, Emden, Göttingen, Hanover, Hildesheim, Lüneburg, Nordhorn, Oldenburg, Osnabrück, Salzgitter, Stadt, Wilhelmshaven, Wolfsburg and any other city or community in Lower Saxony. Bus rental in Hanover: "Busvermietung Hannover" bus rental company offers buses with driver in Hanover for trips in Lower Saxony as well as for trips within Germany or international trips all over Europe. Busvermietung Hannover makes it also possible to book buses with driver for sightseeing trips in Hanover, excursions in Lower Saxony or journeys in Germany. Rent coach in Göttingen: hire motorbuses with driver in Göttingen. Charter private street cars, vintage cars, minivans, minibuses and full-sized coaches with a nice driver from Lower Saxony. Oldenburg bus company: order a bus transfer, a sightseeing tour or a coach journey with the Oldenburg bus company and its regional partners from Lower Saxony. Nordhorn rental coaches: book a chauffeur-operated bus from Nordhorn for your upcoming transfers and tours in Lower Saxony. Hire emergency substitution buses in case of third-party bus breakdown. Get a quotation for an individual long-distance tour in Germany and Europe. Bus with driver in Osnabrück: hire a bus with driver in Osnabrück for a ride to any destination or sightseeing attraction in Lower Saxony, in Hamburg, in Schleswig-Holstein, in Saxony-Anhalt, in Thuringia, in Hesse or in North-Rhine Westphalia. Order coach trips within Germany and to all other countries of Europe. 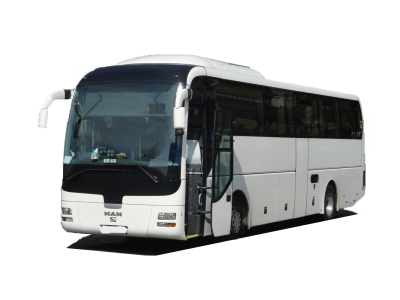 Motorcoach charter in Lüneburg: contact this coach rental company if you want to hire a bus with driver in Lüneburg and surroundings. Get a quotation for your airport transfers, city transfers and sightseeing tours by bus in Lower Saxony and entire Germany. Charter a bus in Wilhelmshaven: hire a charter bus with a conductor in Wilhelmshaven and use it for your business transfers, private itineraries and group travel in Lower Saxony, Germany and Europe. Wolfsburg bus booking: hire a motorcar with motorist in Wolfsburg. Find medium and small sized coaches with operator in Lower Saxony. Rent big buses and double-deckers for tours in entire Germany and elsewhere in Europe. Brunswick rent a coach: use this charter bus company to hire your coach with driver in Brunswick, or to order your bus tranfers and tours anywhere else in Lower Saxony and Germany. Hire buses Delmenhorst: rent a charter coach with motorist in Delmenhorst, find a minivan or microbus with operator in Lower Saxony, book a motorcoach with chauffeur in Germany and Europe. Coach company Emden: painless and quick booking of coaches with driver for journeys in Lower Saxony, in other parts of Germany, to Netherlands, Poland, France and other countries in Europe. Hildesheim bus rental: make a reservation for any kind of chauffeur-driven street vehicle through this charter bus company in Hildesheim. Stade charter buses: are you planning to do a bus tour in Lower Saxony? If so, this charter bus company will be pleased to offer you coach hire service in Stade, Lower Saxony and entire Germany. Hire buses Salzgitter: send your coach hire request to this charter bus company in Salzgitter, and you will receive a quick quotation for any type of bus ride in Lower Saxony, Germany and Europe. Book a bus in Celle: find a minibus, a coach or a double-decker from Celle and surroundings and book it for your individual bus tours and transfers in Lower Saxony, other parts of Germany and entire Europe. if you wish to travel in a reliable bus with an experienced driver. We will be delighted to answer to your message and draw up the best personalized offer considering your needs, and that as fast as we can. Then we will forward you an estimate of your itinerary in Lower Saxony!